Home Crypto News Is Bitcoin headed to $3k or $17k? Technical analysis (TA) is used to evaluate and identify opportunities through analysis of previous trading activity, such as price movement and volume. TA is very different from Fundamental Analysis (FA) which attempts to evaluate intrinsic value. TA is all about the charts and analytical tools to assess market strength or weakness. 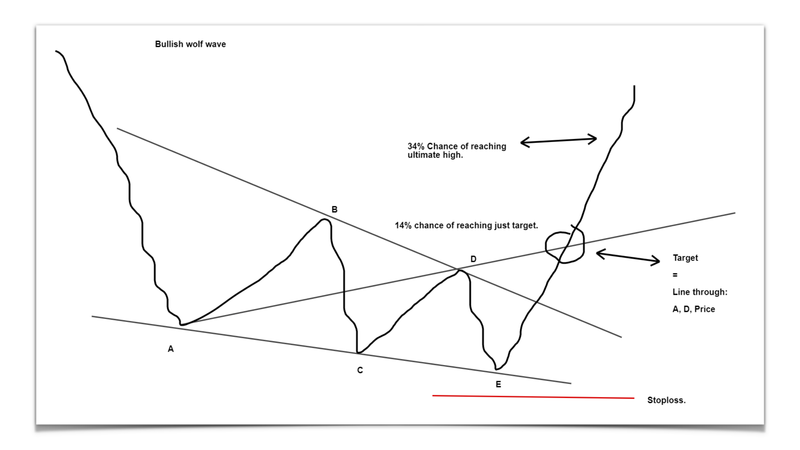 In this latest edition, Ironwood describes three distinct TA patterns for Bitcoin. The most bullish being rightfully names the Bullish Wolfe Wave. If you are not familiar with a Bullish Wolf Wave check out Investopedia’s definition. So how exactly does the Wolfe howl for Bitcoin? If the analysis plays out, we could see Bitcoin reach $13,000 to $17,000 — that would be fantastic. But, don’t get too excited. Just like Newton’s 3rd law, good vs. evil, or yin and yang, Ironwood does have an alternate story to tell. In another piece of Bitcoin analysis, we are presented with a Descending Triangle. In this scenario, we could see Bitcoin dip as low as $3–5K. I know many are expecting this to happen, and mark the final end to this dreaded bear season. Time will tell, but one thing is for sure it’s a great time to be educated on cryptos. The Ironwood Market Update also contains analysis on for Ethereum (ETH) and Altcoins EOS (EOS), Cardano (ADA), Binance (BNB), Selfkey (KEY) and Holochain (HOT). Follow the link above to download your copy of the Ironwood Market Update. A quick shoutout to Xander from Ironwood, the author of the July report. You can follow him on Tradingview ​@XanderCrypto.